Golden Oak at Walt Disney World Resort Home for Sale - Located in Golden Oak's scenic Tuscan themed neighborhood, Kimball Trace, this beautiful 4 BR/ 4.5 Bath, 3,949 sf "Casa Vittoria" home has been meticulously maintained and is ready for quick move-in. 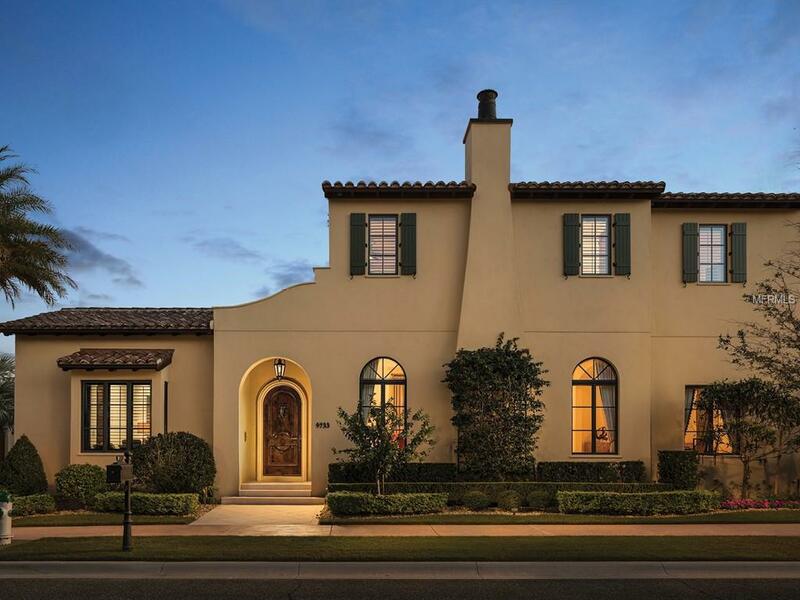 Beautiful Tuscan architecture is combined with classical Italian interior detailing and features including vaulted ceilings, stone-mantle fireplace, and a distinctive Italian style entertaining kitchen overlooking the sparkling courtyard pool with soothing Roman fountain. Lutron lighting controls and Sonos audio system adds convenience and inspiring music inside and out on the pool lanai. Relax and entertain in gracious style on the beautiful pool lanai featuring a DCS gas grille, wall mounted TV, and retractable phantom screens. Separate 2-car and golf cart garages are located at the brick paver rear motorcourt. You'll enjoy magical moments and great family dining only steps away at the renowned Summerhouse clubhouse featuring unique concierge style services, Disney parks transportation, exclusive events and amenities ranging from Bolton's Restaurant to a fitness center, the Triple R conference room, and oversized heated pool with a zero-entry kid's splash deck. Additional Lease Restrictions Minimum Of 180 Consecutive Days. Pet Restrictions Up To 4 Household Pets; Breed Restrictions Apply. Listing provided courtesy of Golden Oak Realty.